Conventional solutions to flat feet include corrective walking shoes, running shoes, and sneakers. However, there are a lot of times when wearing sneakers and athletic shoes are not appropriate: like working in the office or when you’re out partying. Fortunately, there is a wise alternative that could beat the most common options to date – insoles. You can make your corporate shoes keep working for you by using inserts. And you don’t need to worry if you are flat-footed. This article will introduce the best insoles for flat feet. Inserts allow you to look formal and sharp without suffering from foot pain. The best part is insoles typically costs less compared to new shoes. 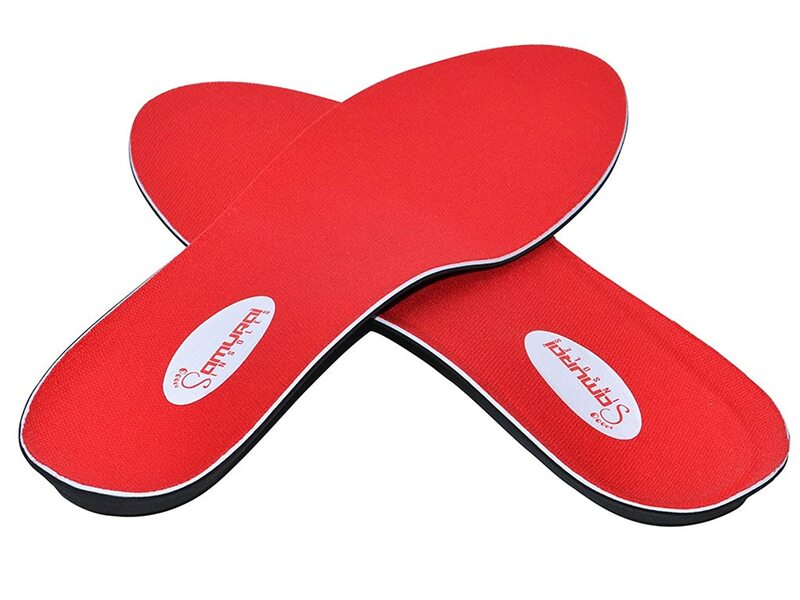 Furthermore, you can use it on several pairs of shoes, and multiple types of insoles suit specific preferences. This article, for instance, focuses on flat feet. So enough of the chit chat and let’s get started. Are you in for a little signature insole? The Dean Karnazes Signature Edition Sole Insoles is a good choice for people experiencing calluses, bunions, knee pain, corns, and plantar fasciitis. 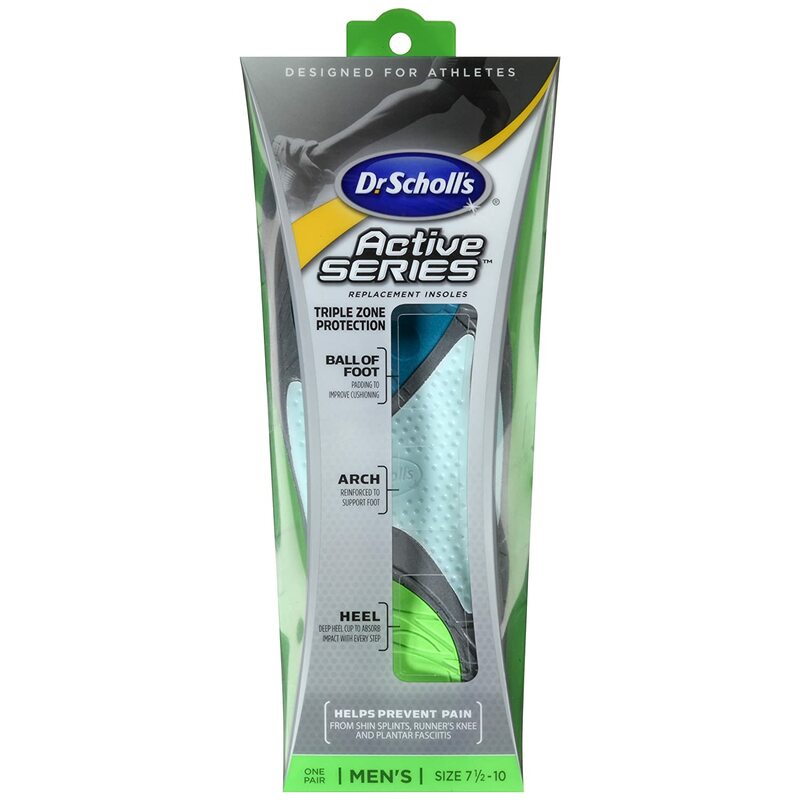 Even if you’re not a fan of Dean Karnazes, you will find this insole a great help especially when it comes to arch support, making it ideal for users who have high or fallen arches. The Dean Karnazes Signature is not just for the style of collection purposes; you can utilize this insole and experience the features that are non-existent in regular orthotics. For instance, the heat moldable technology adjusts with your foot which means a more personalized fit. Additionally, cushioning is also remarkable so that you can expect comfort. Spenco is a popular brand and has a firm reputation especially in online sales. The brand has an array of insoles for different types of shoes from low volume to regular footwear. The Polysorb Total could help alleviate your common foot problems such as frequent arch collapse. It could appropriately align your foot to optimize its functionality. Polysorb Total is worth the shot. 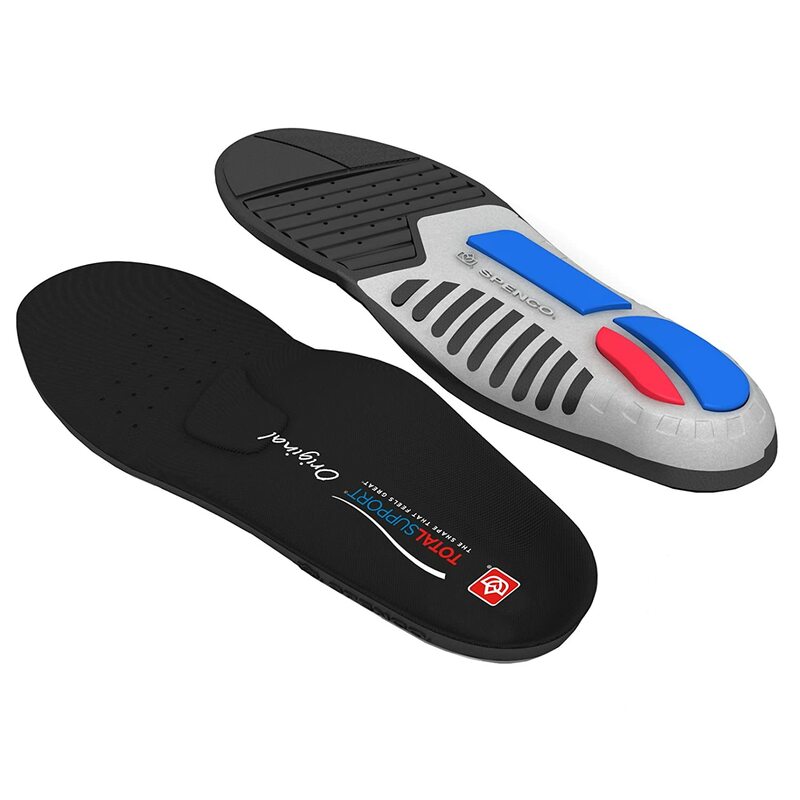 Outstanding stability is brought by the distinct biomechanical shape of the insoles, consequently defending your feet not just against plantar fasciitis but also against aching feet, knee stress, and ankle pain. The Green Premium Insoles from Superfeet makes a big difference regarding your overall well-being and not just focuses on comfort for your flat feet. 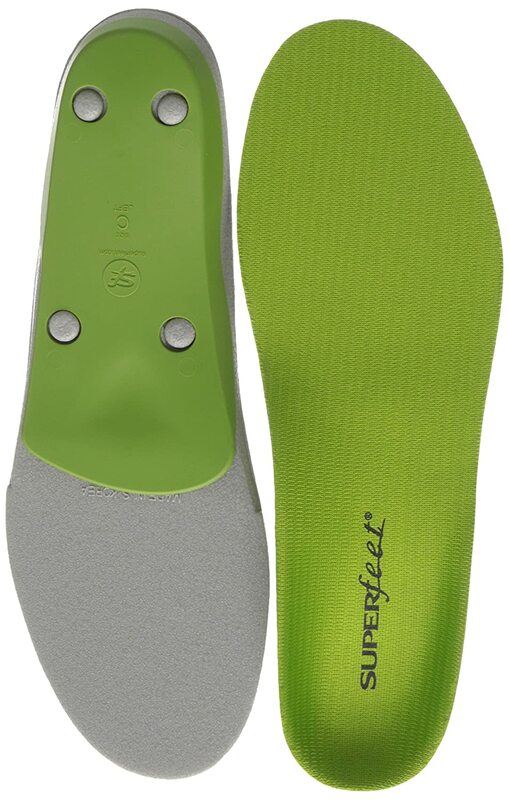 Superfeet has a large array of insoles under offering solutions to different spectrums, and the Superfeet Green Premium is a good choice for flat-footed people. It makes the foot properly aligned and supported, reducing stress impact on ligaments and muscles. Unlike other insteps, these are already flexible even at first use. It means no break-in period to wait. Orthaheel provides orthotic options for people having foot problems. It’s a podiatrist-led company that manufactures inserts that are both fashionable and optional. The Full Length Orthotic, for instance, is a nice choice for people who wants to treat severe pronation and at the same time, doesn’t lose their fashion sense. Online size guide can sometimes mislead you. Try using a real ruler in measuring your shoe size. 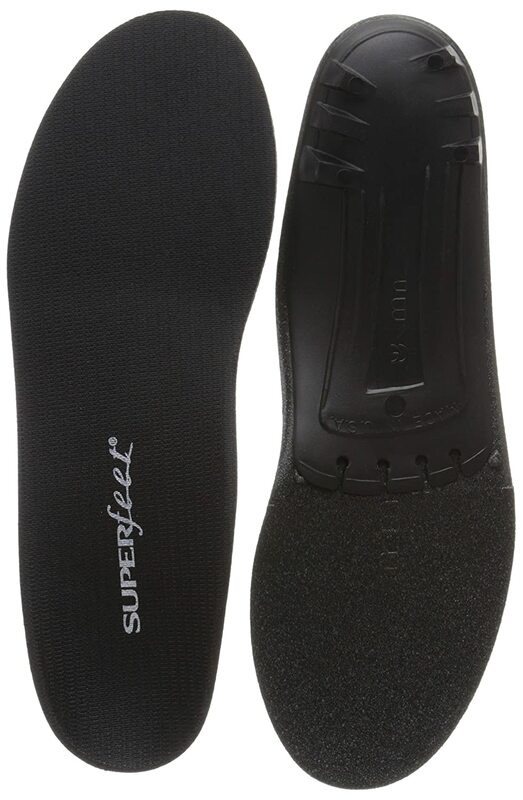 Your flat feet will probably thank you for supporting them with the right insole; the Superfeet Black Premium is yet another good choice for this specific foot type. The design looks simple; subtle enough not to make it obvious you’ve put an insole in your shoes. With the same reason, this insole is thin enough that you’ll feel like wearing your original shoes. Also, it could fit in any footwear. 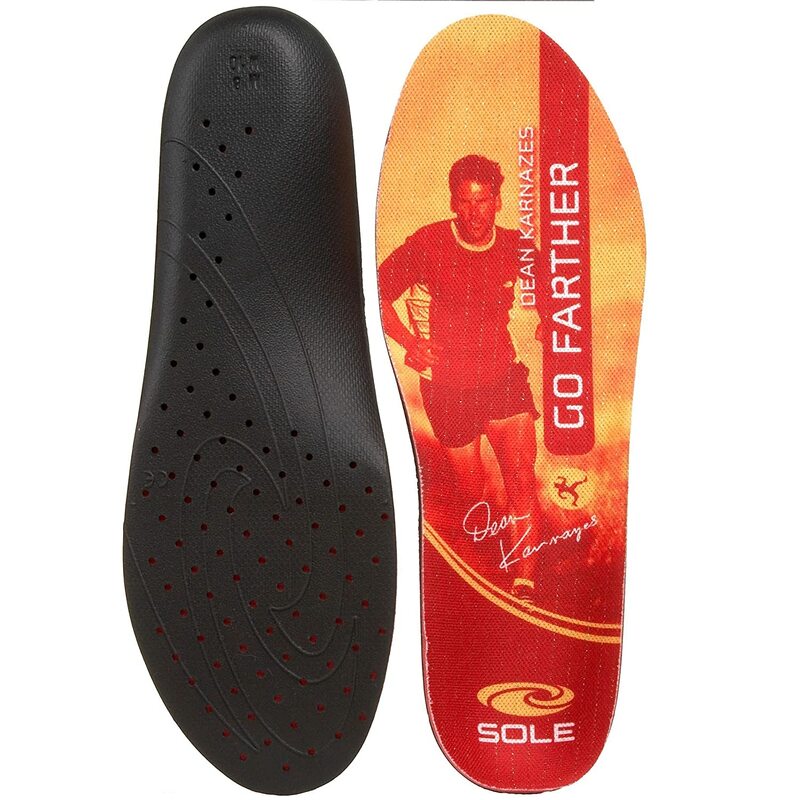 The magic, however, goes to the rear design of this orthotics. For a long time, Powerstep Original has been best-selling and still keeps its top record to date. Affordable and simple, it’s not surprising why a lot of consumers love this product. Powerstep Original also made it on our list of best insoles for flat feet. It’s because it provides a great feet structure as well as retain the comfy feel you like from your shoes. Furthermore, Powerstep Original is also a known podiatrist choice and is commonly recommended for people who suffers from plantar fasciitis but couldn’t work without their shoes on. Reducing excessive pronation and arch support is the highlight of Dr. Scholl's Active Series Replacement Insoles, Men's Small. One of the most interesting features of this orthotics that are not commonly found in other brands is the forefoot extensions that serve as inhibitors against insert sliding; making it suitable for sporting activities that require firm footwear. Extra longitudinal cushioning is also another feature that you might want to check out. 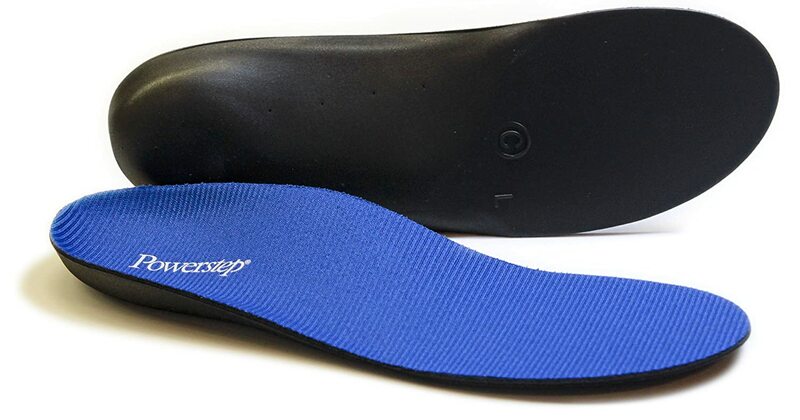 This insole is designed to alleviate leg pain, arch pain, and over pronation. Sof Sole has an organized array of orthotics classified for different uses such as lifestyle and fit. 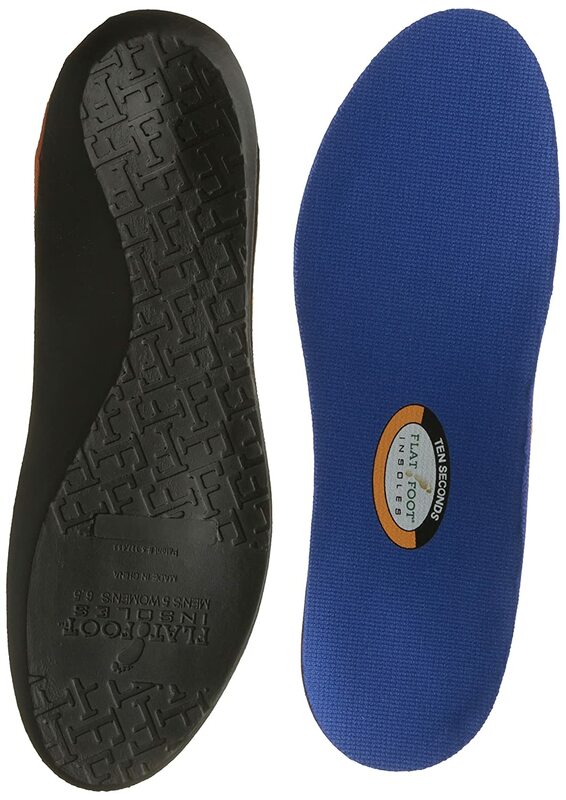 This one is a stylishly designed insole suitable for flat-footed people. 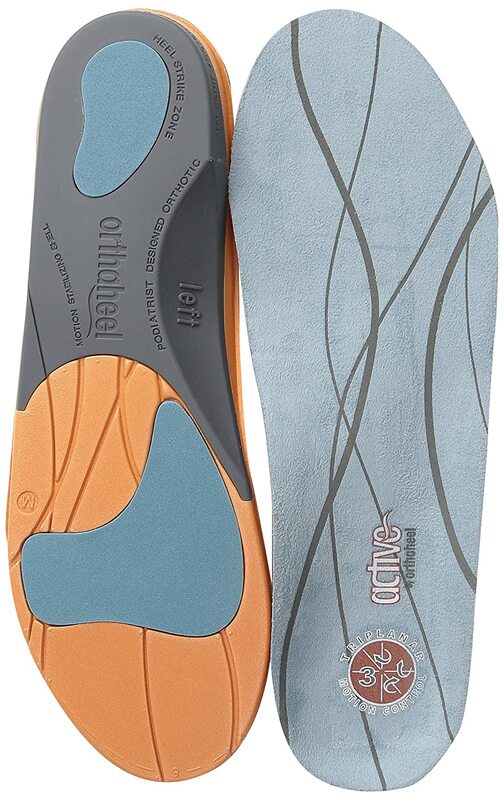 This orthotics is an interesting collaboration between functionality and fashion. Moreover, if you are an individual who has a job that requires you to stand all day long, then the high arches of the Sof Sole Fit Series will help you lighten your feel by preventing pain. Bunions are also troublesome to deal with; these inserts can provide you a solution by taking the pressure off your bunion. It might be a little expensive to buy, but it’s worth the investment. If you aren’t confident to any orthotics unless a podiatrist recommends it, then the Samurai Insoles is a good shot. The designer of Samurai Insoles is a podiatrist. The manufacturer boasts these inserts are made from a state-of-the-art orthotic laboratory (right in the USA) where meticulous considerations and careful engineering are done just to craft these insoles. You don’t have to do the guesswork for finding the right fit because Samurai Insoles are produced by following typical shoe sizes; you wouldn’t have a hard time finding the right fit. Despite heavy considerations upon making, the designers has kept these inserts as simple as possible by allowing a slim design, making it compatible with a large array of footwear in the market. However, this is given that your present shoes have removable insoles. If not, you may have to try other shoes or just go ahead with it and observe your feet. It is another insole created by an Orthopedic Surgeon. Matter of fact, it’s also patented by that same surgeon. These inserts are designed to face the issues of heel-to-toe pronation. 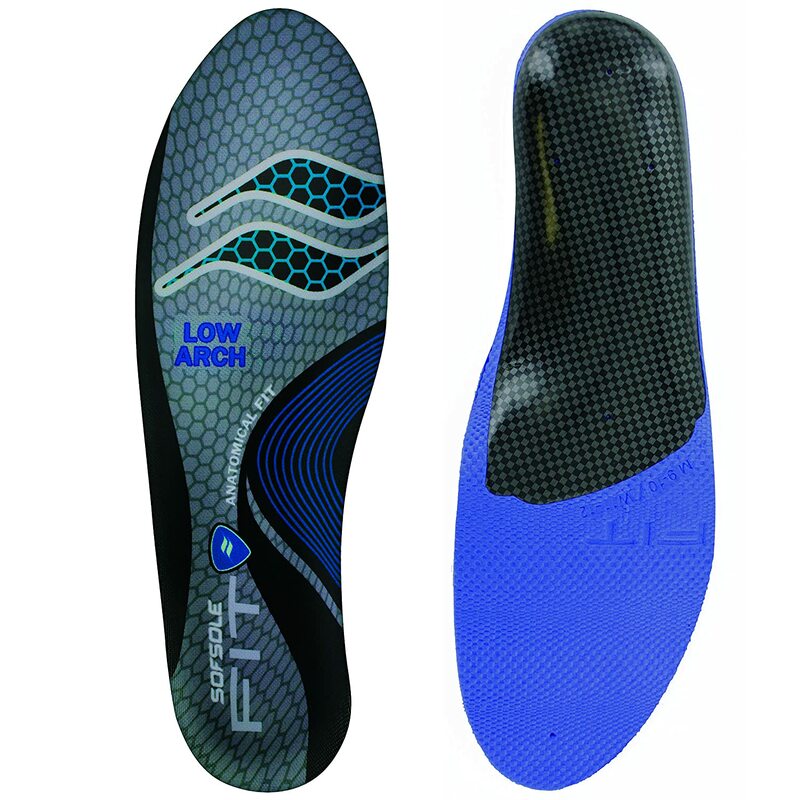 It has an edge to the previous model, though - it is more affordable than the Samurai Insole. The 10-Seconds Flat Foot Sports is just half the prize of the Samurai Insoles. In this article, it’s best to consider the type of shoes you intend to wear rather than focusing on your feet. Given that your issue is being flat-footed, and the article already presented the products that are inclined to that specific preference, then what’s left for you to do is to assess the kind of brand that is compatible with your shoes. However, this is only optional. You can always consider your feet first and let the shoes adapt, but this might include buying new shoes. If you’re required to wear your brogues, you’re going to need a slim insole. And if you need to use your all-purpose sneakers or walking shoes, you should use thicker and more cushioned inserts. You should also put attention the shape of your shoes, particularly the toe part. As you may have noticed, various shoes have different toe shapes; some are curved while others are pointed. Lastly, you should also check whether your built-in shoe insole is removable or not. If it’s removable, then you can use any sole that fits it without affecting the fit of your feet itself. If non-removable, then you have no choice but to put the insole as another layer to the built-in insole. However, you can expect a tighter fit. In that case, you can either change your shoes to half-size bigger or find another shoe in your cabinet. A lot of people turn to insoles as their refuge because buying new shoes will cost a fortune. It means a fifty-dollar insole is somewhat impractical if the user is on a tight budget. On the other hand, if you have the luxury to give your feet what you deemed it deserves, then you are free to try high-end orthotics. After all, what you pay is what you get. Insoles may look an ordinary ‘step-on-it-stuff’, but it has a huge impact on a user’s life from a daily basis to a massive effect on the long run. It only means that having the right insole is a vital part to produce the most efficient and productive version of you. The best insoles for flat feet are a good list to start if you are looking for something that will take care of your flat feet.